Event-related brain potentials (ERPs) elicited by visual and auditory stimuli were recorded from nonretarded individuals with autism (ages 13–25 years) and age-matched normal controls. In “no-task” conditions, subjects simply looked at or listened to these stimuli; only one difference was found between subject groups. Several ERP differences between groups were found in “task” conditions; subjects pressed a button at the occurrence of target stimuli intermixed with unexpected, novel stimuli and also with expected, nonnovel stimuli. Visual ERP abnormalities in the autistic group differed from auditory abnormalities. 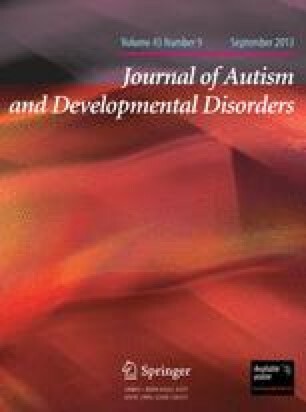 Results suggest that (1) nonretarded autistic individuals may have a limited capacity to process novel information — they are neither hypersensitive to novel information nor misperceive it as non-novel and insignificant; (2) classification of simple visual information may be less impaired than auditory; and (3) with one exception, visual and auditory ERP abnormalities do not seem to reflect maturational delay. This research was supported by NIMH grant 1-R01-MH36840 awarded to E. Courchesne, NINCDS grant 5-RO1-NS19855 awarded to E. Courchesne, an Easter Seals Research Grant awarded to E. Courchesne, NICHHD grant 5-R01-HD11154 awarded to R. Galambos, and Children's Hospital Research Center, San Diego. Valuable assistance has also been provided by San Diego Regional Center for the Developmentally Disabled. We thank Rachel Y. Courchesne for her helpful comments on this manuscript and Phyllis Galambos for her technical assistance.